There are lots of answers to that question. I’ll try to give you as many as I can think of. – “It is a Christian holiday by it’s very nature!” What’s Christian about holly, mistletoe, evergreen trees, a talking snowman, a reindeer with a radioactive-ly glowing nose, and snow in general? Sure, the title is Christian, but why does that matter? There’s plenty of non-religious fun to be had. – Many celebrate Hanukkah. Quite a few atheists are Jewish. And as Judaism is as much an ethnicity as it is a religion, those atheists who are Jewish by family descent have no problem celebrating their ethnic tradition. And many others celebrate the Solstice, which just means you’re celebrating the time of the year when we start getting more daylight. And others celebrate Festivus, the fictional though fun holiday created from Seinfeld, or any other number of nature-based pseudo-Pagan holidays. Most of which, by the way, have their origins far before Christmas and are the source of a lot of the modern Christmas traditions. – We’re atheists. We can celebrate anything we want, regardless if we believe in it. Most people celebrate Halloween and I would venture to say that the majority don’t actually believe in demons or goblins. It’s fun! – I like giving and receiving presents. Since the majority of the country is Christians, and the majority of people will be giving gifts at this time of year, why not join in? Again…it’s fun! 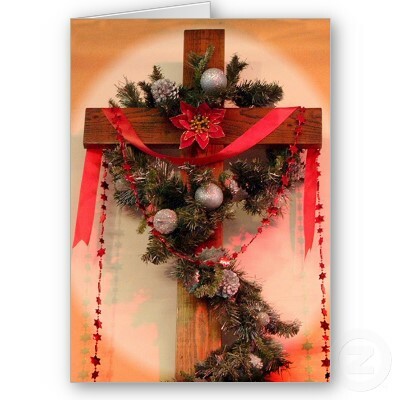 1) I am aware of the small minority of atheists that choose not to celebrate Christmas. However, I think we can agree that most do to some extent, and so the point stands. 2) Regardless of the different things that have been commercialized about it, Christmas at its core is about the celebration of the birth of Jesus Christ. I said quite carefully “by its very nature” so as to make it clear that its the reasons behind the holiday, not the commercialization of it. 3) I have no idea why your bringing in Hanukkah, but alright. And your right, a lot of people are Jewish, and so celebrate Hanukkah. I am not disputing that, this is about Christmas. And when you say that many winter celebrations are the source of modern Christmas traditions, thats true to. But my point is that thats not the point of Christmas, and people deciding to celebrate anyway (while it may be a right) does not make sense. 4) Like I said above, it is your right to celebrate it, I never said otherwise. I simply said it didn’t make sense and (in the case of atheists) was hypocritical. This is America, you can celebrate whatever you want. Also, Halloween wasn’t about demons or goblins, it is based on the festival of Samhain which was about two things: the marker for the ending of the “lighter” half of the year, and the beginning of the “darker” half, and that spirits (not demons, as demons are based in Judeo-Christian belief) are more readily able to come into this world, both good and bad. 5) I am not saying it isn’t fun (I certainly think it is) but I am going to be going back to my original point which is that it doesn’t make sense how an atheist, who is opposed to Christianity, can justify being an atheist and celebrate the birth of Jesus Christ (whether he desires to or not). We’re celebrating all the trappings without the Christian substance, and replacing it with our own substance: be nice to people, and show the ones you care about that you love them. Other than the name, there is nothing about the holiday I celebrate that has anything to do with your religion. The name is a convenient placeholder. I could easily replace it with “Festivus”, “Solstice”, “Saturnalia” or any other word I would like. I don’t change it because of simplicity when explaining to others. I don’t have a nativity, I don’t go to a church, I don’t acknowledge the existence of your god or even the accuracy of the story. Instead, I take all the secular elements that have either been taken by Christians for their own use or were tacked on after the fact, and I have fun with those. All that is left is the name. And if that’s all it comes down to, your argument is no stronger than those who argue that by uttering the common phrase “oh my god” we are saying we believe in a deity. Your argument is based on the assumption that your not taking part in anything about Christmas that is directly tied to Christianity. How about the fact that present giving on Christmas is based on the Magi bearing the gifts of gold, frankincense, and myrrh. I am not saying that in doing this YOU are personally acknowledging the divinity of Christ, I am saying that by doing (for instance) gift giving in direct reasoning of Christmas, you are taking part in the holiday. That’s been my point from the beginning. It would be the same if we’re talking about a Native American celebration. Lets say they had a holiday of their own that dictated they make a fire, do a specific dance around it, and chanted. Now, if I was at my own house on that day and thought “hey, that chanting around the fire looks like fun” and did it, I certainly wouldn’t be saying I believe in their beliefs, but I would be taking part in the celebration to a small extent. Oh, and the “oh my god” being the same thing, its not. The third commandment of the bible says, in short, “thou shalt no take the Lord’s name in vain”. Actually it’s based on the common gift-giving tradition of Saturnalia, the original Roman winter/Solstice holiday that predates Christianity by hundreds of years. They would decorate with evergreen boughs and candle-light, and the traditional gift of the upper classes was something of silver. But even the plebs gave gifts during the celebration. I am taking part in A holiday, certainly. Your argument was not that I was celebrating a holiday. Your argument was that I was specifically celebrating the birth of the character you believe to be your god. Which is not true. Even though (originally) the gift giving was about the solstice, it was stolen by the Christians. The question now is whether or not the general population recognizes the gift giving is from Christianity or the Solstice, as it is the majority that make the decision what their celebrating. Also, making the argument that what your doing to have fun on Christmas is from paganism doesn’t help your case in the long run, as that implicates your acceptance that your celebrating paganism. As far as I know, that isn’t a whole lot better than Christianity in the eyes of Atheists.